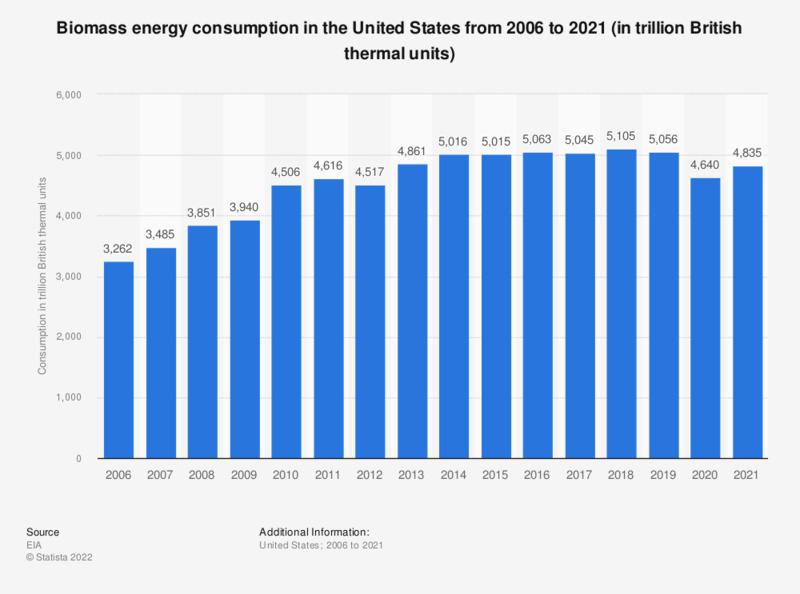 This statistic represents the total consumption of biomass energy in the United States between 2006 and 2017. In 2017, around 4,913 trillion British thermal units of energy derived from biomass were consumed here. A timeline of the volume of wood pellets produced globally can be found here. Everything On "Biomass and biofuels in the U.S." in One Document: Edited and Divided into Handy Chapters. Including Detailed References.